Do you want to run multiple operating systems from a single USB stick How to Create a Bootable Multiboot USB for Windows and Linux How to Create a Bootable Multiboot USB for Windows and Linux A single USB flash drive is all you need to boot, install, and troubleshoot multiple operating systems. We'll show you how to create a multiboot USB, including Windows and Linux installers and recovery tools. Read More , or other flash RAM? Perhaps boot into a live environment, or even install the operating system? It’s tricky, but it can be done. First, you would be breaking some licensing agreements with Microsoft, unless you had some sort of site-licensing deal with them. Second, it would be a painfully slow installation process. Where it becomes practical is if the different operating systems are Live CDs. 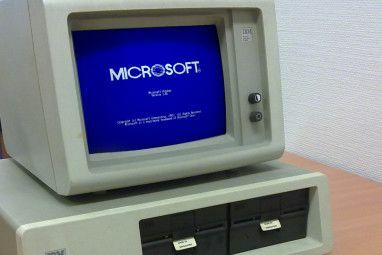 That is, small operating systems designed specifically to provide maintenance to a computer from outside of the computer’s own operating system. 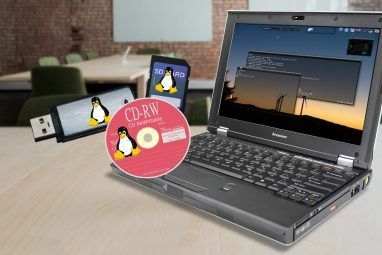 Linux live CDs How to Build Your Own Bootable Linux Live CD How to Build Your Own Bootable Linux Live CD It's easy to create a DIY bootable live CD in Linux, using third-party tools or official Linux operating systems. Need help? Follow these steps to create a Linux Live CD in minutes. Read More or Windows live discs How To Make Your Own Windows Live CD How To Make Your Own Windows Live CD Read More are extremely useful in many scenarios. For instance, if a computer’s own operating system is corrupted through misuse, poor maintenance, or worse, malware. There are a few nice programs that will help you create your multiboot USB stick. Today, we’ll take a brief look at four of them: WinSetupFromUSB, XBoot, MultiBootUSB, and YUMI. 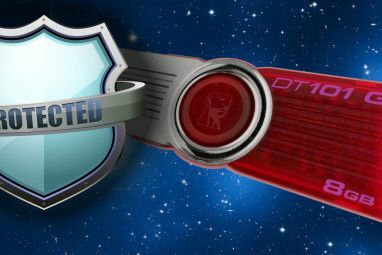 Prior to using each of the different multiboot creation programs, I formatted my Kingston DataTraveler 101 16GB USB 2.0 flash drive, to ensure there would be no issues from the flash drive itself. A highly recommended pick for installing Windows from a USB and multiboot USBs is WinSetupFromUSB. It’s an intuitive multiboot software option. However, WinSetupFromUSB is only compatible with Windows 2000/XP and later, as well as Linux and BSD. Plus, it’s compatible with loads of Windows, DOS, and Linux applications. Any version after 1.1 functions with UEFI and Legacy BIOS modes. Grab a download from the official WinSetupFromUSB site. With WinSetupFromUSB installed, simply click the drop down and select your USB disk. Next, check the button next to your preferred operating systems. Then you’ll need to browse to the volume containing the operating system you wish to install on your multiboot USB. When you’re ready, click the Go button. If you’re interested, check the option by Show Log to view detailed information on what’s going on. Finally, when installation is complete, you’ll see a Job Done message. Overall, WinSetupFromUSB is pretty simple to use and features a quick write time. It’s also got a QEMU mode, and it’s a small, portable app. MultiBootUSB is a pretty popular program for just this kind of task. The MultiBootUSB software is also a portable application, meaning you simply put the appropriate MultiBootUSB download file onto your USB drive and run it all from the USB drive. No need to mess around installing it on your computer. This gives you a great deal of flexibility, should you want to change things up but you aren’t at your home or office computer. It is limited to allowing installations of Linux-based Live distributions, however, most of the best Live CDs Put your Linux Distro on a Live CD Put your Linux Distro on a Live CD Recently, Live DVDs and Live USB have cropped up as well. These live systems are full versions of the operating system that run completely from the given medium. Read More are Linux-based anyway. You can even roll your own distro Roll Your Own Linux Operating System With Ubuntu Customization Kit Roll Your Own Linux Operating System With Ubuntu Customization Kit Ubuntu Customization Kit offers a DIY experience for creating a customized Ubuntu-based distro, with your own choice of apps and desktop, for burning to CD or USB. Time to build your own custom distro! Read More . I decided to push on and just try adding the Kaspersky Rescue CD 10 ISO. The Kaspersky Rescue CD pretty small, so there is plenty of room for it on my 16 GB drive. The second ISO I added was the Ultimate Boot CD ISO. Now, I have two different bootable operating systems on one USB flash drive. At this point, you’re able to click on the QEMU tab and test the installations without having to reboot the system. QEMU is a machine emulator and virtualizer, meaning it’s an operating system that will run in the Windows environment, but completely independent of Windows. It can even run Raspbian in Windows How to Emulate a Raspberry Pi on Your PC How to Emulate a Raspberry Pi on Your PC Rather than buy a Raspberry Pi and be disappointed, why not try the QEMU emulator to get a feel for it first? Read More ! Ultimately, I was able to boot my computer from the USB stick into both Kaspersky and Ultimate Boot CD. So, overall, the mission was accomplished. One thing that I immediately noticed is that XBoot has a lot more documentation than MultiBootUSB, which is to say that it has some documentation. Both programs don’t really require a lot of instruction to use. But it’s nice to have in case something happens. Installation of XBoot is pretty easy. Double-click the executable file and it opens in seconds. From there it’s quite simple to add your ISOs – just drag and drop them into the main box. Next, click on the Create USB button. The program will prompt you to select the USB drive that you wish to install the ISOs on and to select the kind of bootloader that you want to use. If your USB stick is formatted to FAT32, XBoot recommends Syslinux. If the USB stick is formatted to NTFS, Grub4DOS is recommended. You could also select Do not install any Bootloader, but since you want the USB stick to be bootable, you’ll probably ignore that. Click OK and we’re on the way! Xboot also has the same QEMU features, where you can boot a live CD ISO or boot the USB that you just made. With the USB stick, I was able to boot my computer into both Kaspersky and the Ultimate Boot CD. So once again, mission accomplished, and with a faster installation time! There seemed to be a lot of recommendations for YUMI around the web, so I added it to the crop to be tested. On PenDriveLinux.com I downloaded and installed YUMI. Once you get to the part where you are adding distributions to your USB stick, YUMI lays out exactly which ones are known to work, as well as where to download the distributions from. I thought this was pretty professional. This way you won’t waste time trying to make something work that simply would never function! There are dozens of Linux operating systems The Best Linux Operating Distros The Best Linux Operating Distros The best Linux distros are hard to find. Unless you read our list of the best Linux operating systems for gaming, Raspberry Pi, and more. Read More and other Linux-based live CDs listed. At least one of them is likely to meet your needs. I started with loading the Kaspersky Live CD. Fortunately, Ultimate Boot CD was on the list. So I added that as well. For whatever reason, adding the UBCD ISO only took a minute or two. Additionally, YUMI doesn’t have the QEMU tools of MultiBootUSB or XBoot. But then again, those tools don’t seem terribly necessary. Using the YUMI-created bootable USB drive, I was able to boot into both images without any issues. So, yes, YUMI does work. Any of these tools will help you create a USB stick 5 Uses for a USB Stick You Didn't Know About 5 Uses for a USB Stick You Didn't Know About We’ve all used USB sticks to transport files between computers and back up our files, but there are other cool things you can do with a USB stick. Read More that you can boot one of several operating systems with. Overall, I would recommend WinSetupFromUSB over Xboot, MultiBootUSB, and YUMI. That’s because of the sheer speed with which I was able to create a multi-OS bootable thumb drive. It’s a small portable app The PC Repair Toolkit in Your Pocket: Boot CD on a USB Stick The PC Repair Toolkit in Your Pocket: Boot CD on a USB Stick Inside my technician's toolkit I keep a USB flash drive loaded with the most amazing tools on the planet: my PC repair toolkit. In this article, I share its contents. Read More which is incredibly intuitive to use. This program will be staying on my computer; the others need to go. Once you’ve figured out which program you’d like to use for creating a multiboot USB, check out the newest niche Linux operating systems. 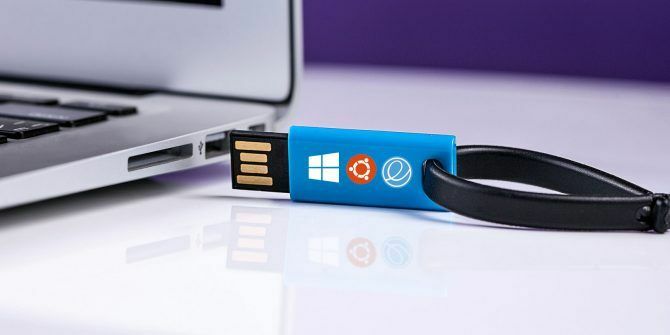 Alternatively, how about creating a Windows To Go USB drive How to Create a Portable Windows To Go USB Drive How to Create a Portable Windows To Go USB Drive Carry Windows in your pocket with Windows To Go. We show you how you can run Windows from a USB drive, like a portable app. Read More ? If you need to create a bootable USB drive from your Windows CD How to Create a Bootable USB Drive from Your Windows CD How to Create a Bootable USB Drive from Your Windows CD Do you have a Windows CD or DVD, but can't use your optical drive to install the OS? You can use a bootable USB drive to install Windows instead. We show you how. Read More , we’ve got you covered too. While you can run a multiboot PC, you can also run multiple operating systems on your PC What's the Best Way to Run Multiple Operating Systems on Your PC? What's the Best Way to Run Multiple Operating Systems on Your PC? Undecided between Windows and Linux? It's possible to run multiple OSes on a single machine either by dual booting or using a virtual machine. Let's find out which one is best for you. Read More . Which multi-boot USB creation tools do you prefer, and what OSes are you booting? Explore more about: Dual Boot, Operating Systems, USB Drive. 5 Ways to Transfer Data From PC or Laptop to Android PhoneWindows 10 Is No Longer Supported on Your PC? Here’s What You Can Do! This thing works and works well! I now have one USB that will install Windoze 7&10, 2 flavors of Linux and boot several ISO based utility disks!! Just what I was looking for! Well WinSetupFromUSB does not appear to do MULTIPLE OS's and the first time I used xboot it crashed. Great recommend! Personnaly and at work, I use EASY2BOOT. it permits to use any iso, img or vhd to boot with!! it is well documented on their website. a really must have tool!! From what I understand you can't put win7 and win10 install isos on the same usb stick. Try it. Try as long as you like with yummi and the all the other applications more. It wont work for both. There are supposed to be ways around this but I have not found a way that works. Those of us in 'Puppy' Linux land have for some time been aware of a project written by one of our forum 'gurus' ( who goes by the sobriquet of rcrsn51.....better known to the rest of us simply as 'Bill'), which will allow multi-booting from the LiveCD ISO files of multiple Puppies, and indeed, other Linux LiveCDs. There are some truly inspired projects being developed by afficionados of some of the smaller, less 'mainstream' distros.....and this is one such project. From personal experience, this thing just WORKS.